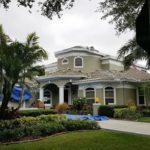 Have you been effected by a hurricane or water damage in the Palm Beach Area? Advocate Claims can help! We know how to help you through a catastrophic property damage such as a Hurricane, Windstorm, Tornado or Hail damage. We make sure that the financial compensation from your insurance company will pay for all of your home, business or property damage! We inspect, estimate, and negotiate your claim settlement for you getting you the maximum amount for your insurance claim! We have a proven track record you can trust! We understand when disasters happen to your home or building that this requires a personalized approach of building damage inspections and insurance claim preparation. 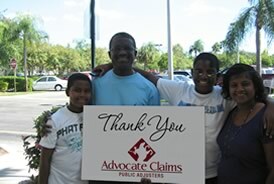 Every claim through Advocate Claims Public Adjusters will receive personal attention and inspection! As professional insurance claim experts, we have formed relationships with unbiased professionals such as forensic building engineers, mold inspectors, mold remediation contractors, window /sliding door experts, restoration contractors, and roofing companies that work to your advantage. We leave no stone unturned so that your home or building is returned to the condition prior to your insurance loss! Advocate Claims Public Adjusters works for you! Water damage is one of the most damaging catastrophes. Out of all the possibilities, it creates the most homeowner insurance claims! Water can do so much damage to a home with devastating effects. If water damage isn’t handled correctly, it can cause more damage inside the walls and underneath the floors through toxic mold growth. Once a mold problem begins, it continues to grow. For these reasons, water damage MUST be taken care of correctly! Calling a public adjuster that knows how to handle and inspect water/mold insurance claims will save you time and money, and give you peace of mind to know it’s done right! Advocate Claims Public Adjusters understands how to investigate water/mold damage and the testing and analysis it will require. 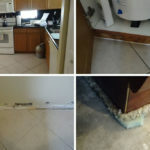 Advocate Claims will inspect the water damage and use their years of experience to work for you! We know the details of the remediation and re-construction process, so we can recommend the right steps to properly restore your property. Advocate Claims can recommend the proper cleaning methods needed to protect you and your family. Deep inside the walls and under the floors need to be examined to be a safe environment to return to. Jobs like these are where our experience will work for you and keep your family safe! When we itemize your insurance claim, we seek to maximize your claim! We ask that all you are entitled to, be put back into your property, in the condition that your property was in, prior to your insurance loss. 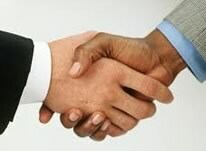 We coordinate all insurance procedures and negotiate your claim, from start to finish. We are working for you, not your insurance company! We take the stress out the claims process! 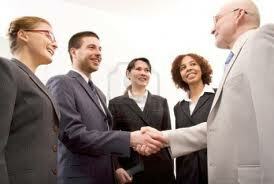 We know the insurance company secrets and loopholes, since we were once company insiders! No detail is left out of the insurance claim report, to insure that you have the best possible claim outcome! We will coordinate all procedures with you and create the necessary damage estimates and paperwork on your behalf. Then negotiate for you when the time comes to settle your claim. Advocate Claims works for you! We know how much you value your home, condo, building or business. Advocate Claims Public Adjusters wants to get the best possible settlement for you. We will completely inspect the property and create an itemized claim report for you and the insurance company. We are on your side, since we truly work for you! 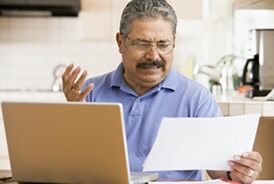 Our claim report is designed to get you the maximum settlement from your insurance claim! Advocate Claims is your personal insurance advocate! Call Advocate Claims Public Adjusters if you are in the surrounding areas of Boca Raton, Palm Beach, West palm Beach, Jupiter, Palm Beach Gardens, DelRay Beach or other areas of Florida. Call today for a free evaluation of your hurricane insurance claim!